From Webster Springs, cross the bridge on North side of town, take a left onto a dirt road along Elk River. This road runs from Webster County to Bracton Co. and you need 4-wheel drive to go all the way from one couny to another. 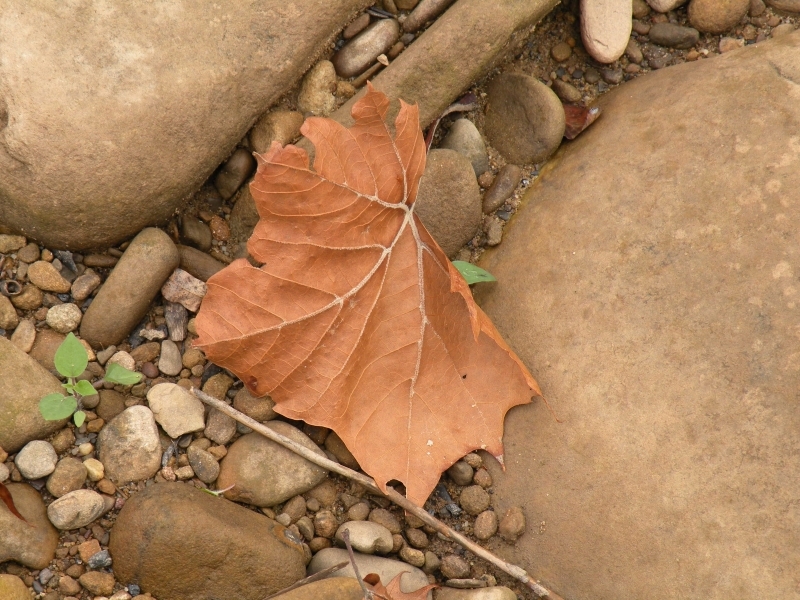 Sycomore Leaf on River Rocks.